Rome's Trevi neighborhood is a bustling area, filled with tourists throwing coins into the iconic Trevi Fountain, eating scoops of gelato, and taking in the historic monuments and architecture. 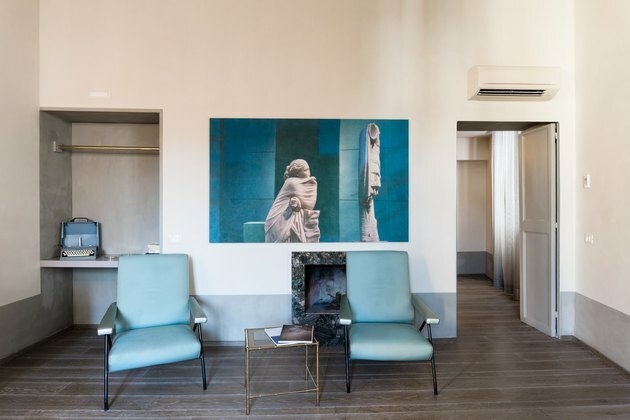 A quick walk from the Trevi Fountain is Casa Cau, a serene retreat from the crowds and chaos. 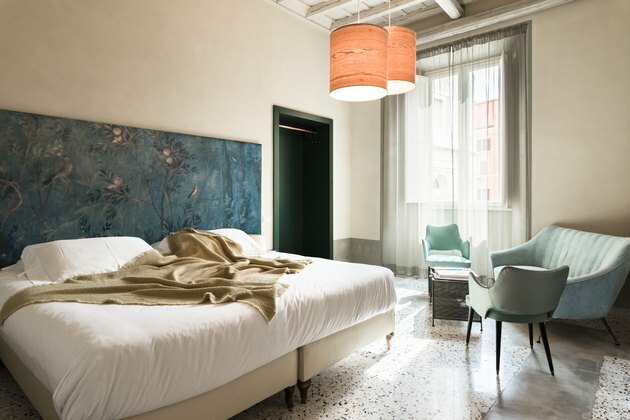 The property, which consists of six unique apartments, is the brainchild of Pino Cau, who discovered the 17th-century building in 2012. 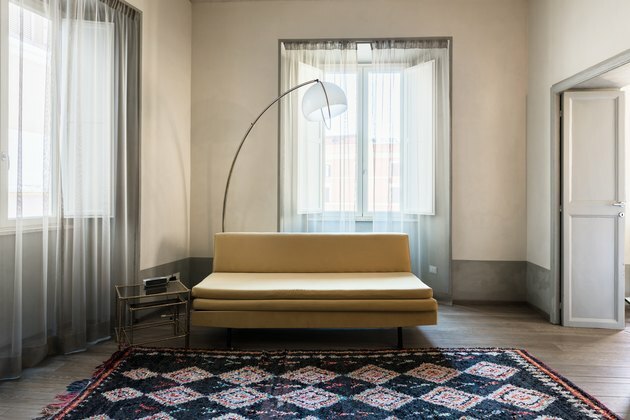 Upon seeing the property for the first time, Cau knew he wanted to create an experience that was closer to staying with friends, rather than in a cookie-cutter hotel. Cau brought plenty of hospitality bonafides to the project. Since leaving the family business to strike out on his own in 2007, he's managed a hotel and two Michelin-starred restaurants. 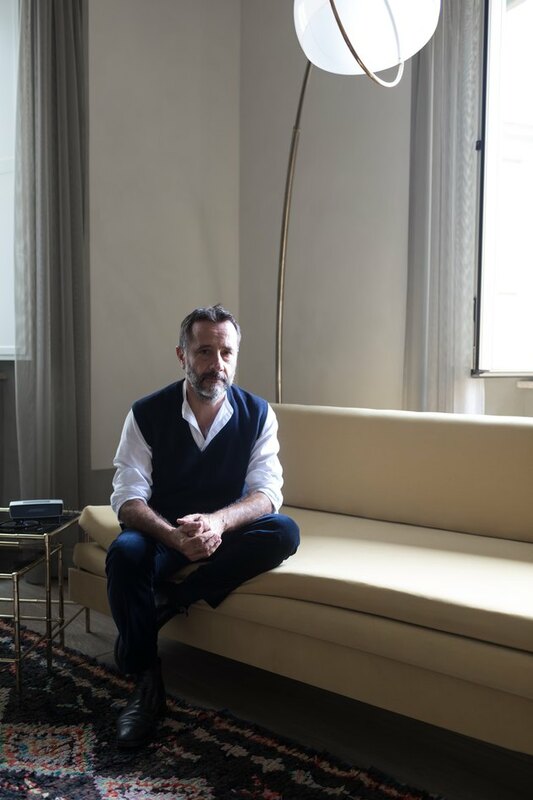 For Casa Cau, he worked with local designer Nora Pastore of Nora P + P Projects to renovate and decorate the property, a process that took five years. 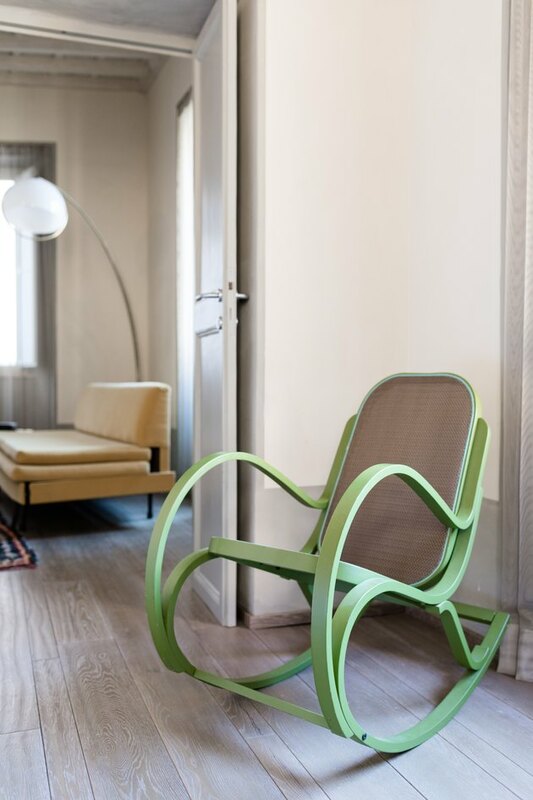 The space celebrates Italian design throughout history, from the murals found in ancient Roman villas to the mod style of the 1950s and '60s. Midcentury geometric forms and saturated colors serve as a major inspiration. 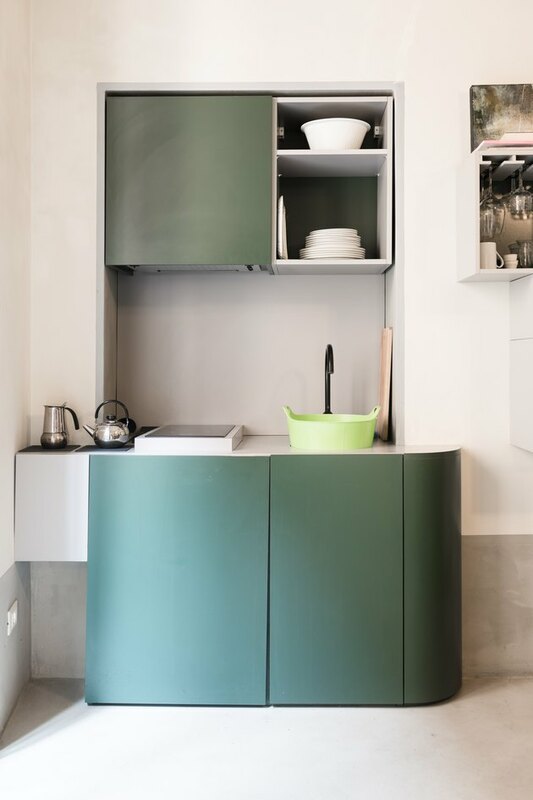 Each apartment has a unique design and layout, and is outfitted with everything a traveler might need, including a kitchen. 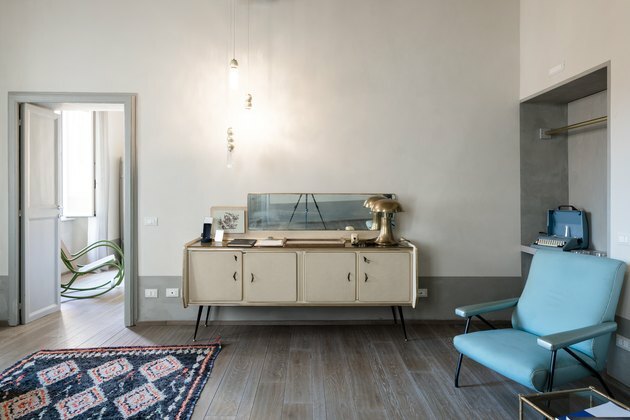 Two of the apartments can be combined to accommodate larger groups, and others boast amenities such as a petite terrace, Turkish showers, and vintage Olivetti typewriters. 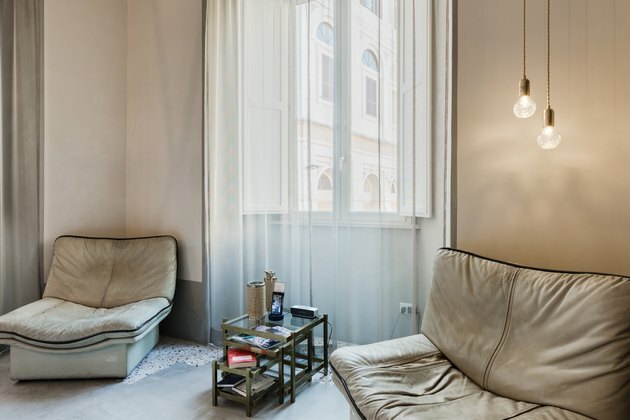 While the teeming streets of Rome are just beyond, inside the walls of Casa Cau guests are treated to space, light, and privacy—not to mention morning deliveries of Italian pastries. Talk about la dolce vita. 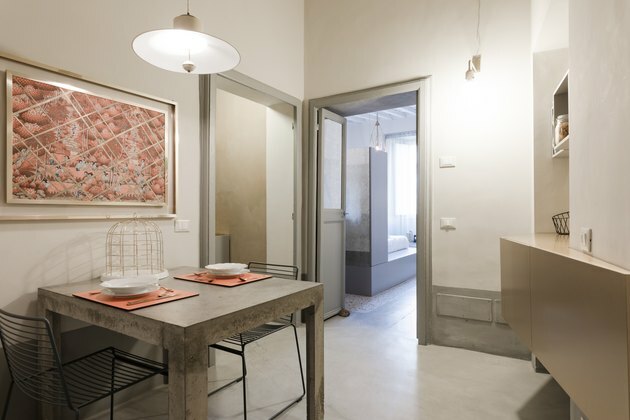 An open plan dining area and kitchen is situated outside the bedroom in the left corner apartment. Gold accents create a sparkling contrast with the Martin Bachmann cement table. 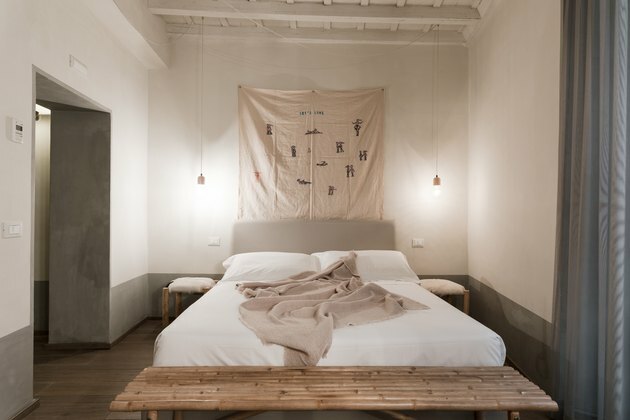 In the right corner apartment, the headboard is a reproduction of a fresco from the Villa of Livia at Prima Porta. "Let's Love" by Georgia Galanti hangs over the bed in the second floor's studio apartment. 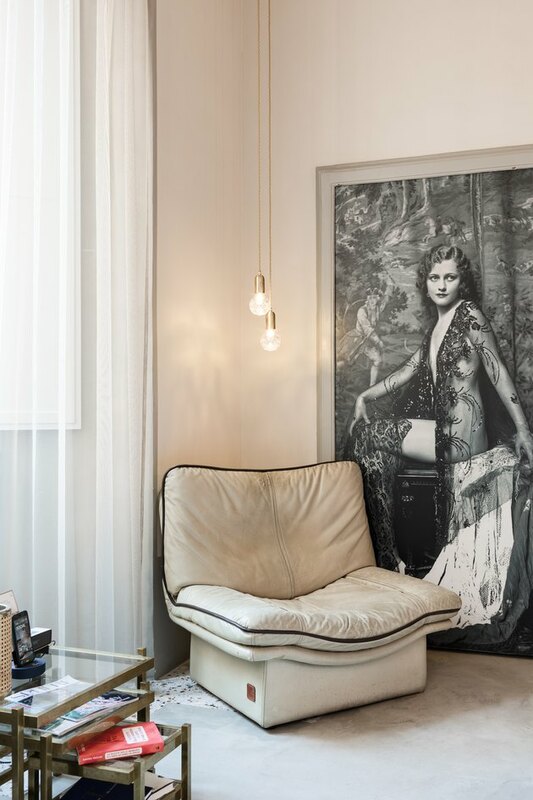 Cau's favorite apartment is the left corner apartment, or apartment four, where leather chairs from the '70s were paired with delicate pendant lights and a large vintage black-and-white photo. 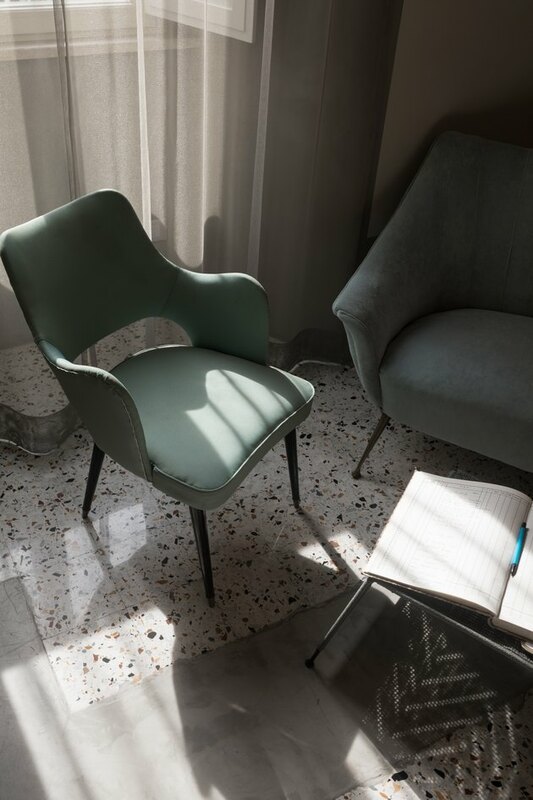 Pastore chose a palette of aquas and teals for the sitting area in the top floor apartment. Matte cement grey trim adds a brutalist quality to the space, while the colorful rug keeps the modern design from feeling cold. 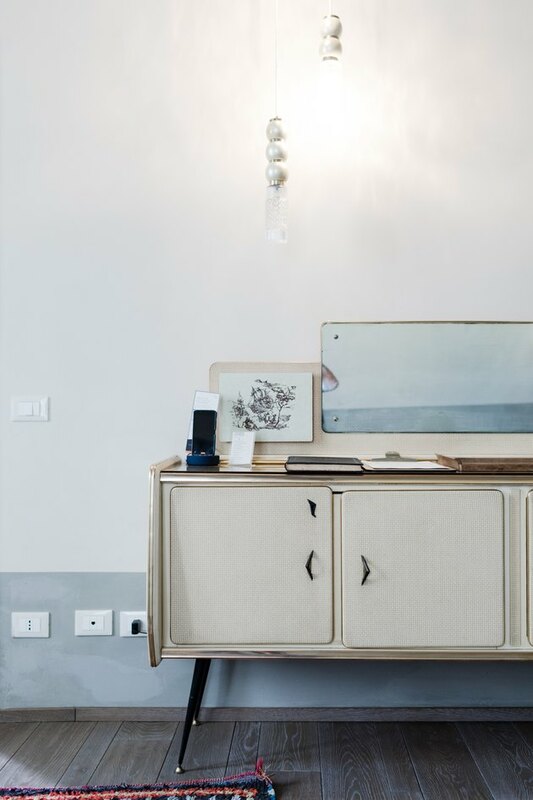 Each apartment feels like a home, thanks to the beautifully curated art and decorative objects that are on display. 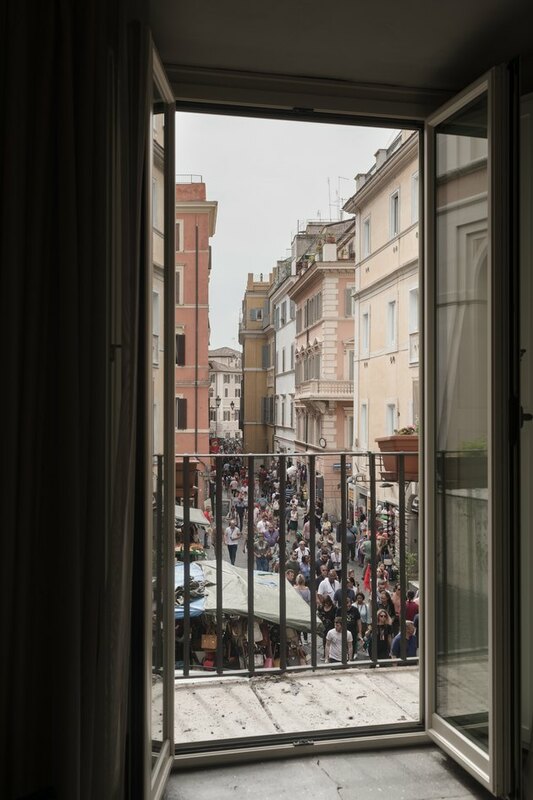 An apartment on the second floor offers views of the market in the square below. The kitchen in the right corner apartment has all the essentials. 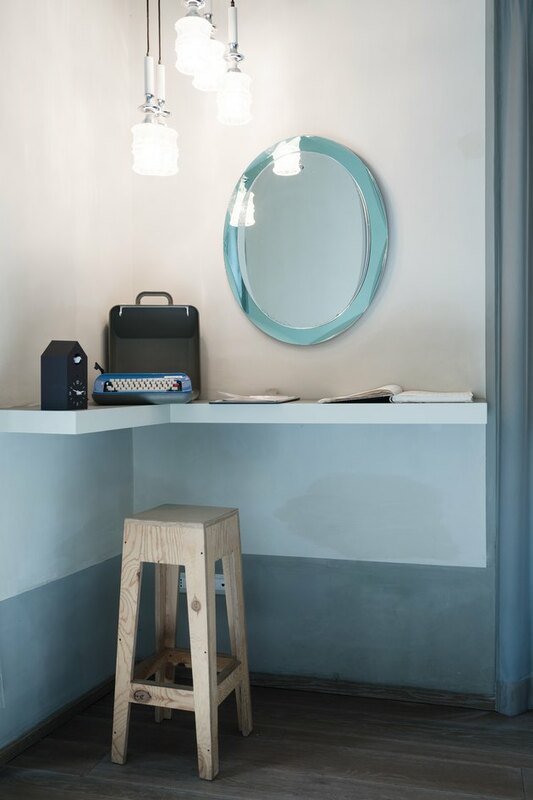 An alcove outfitted with a faceted mirror and vintage typewriter offers guests a stylish workstation. 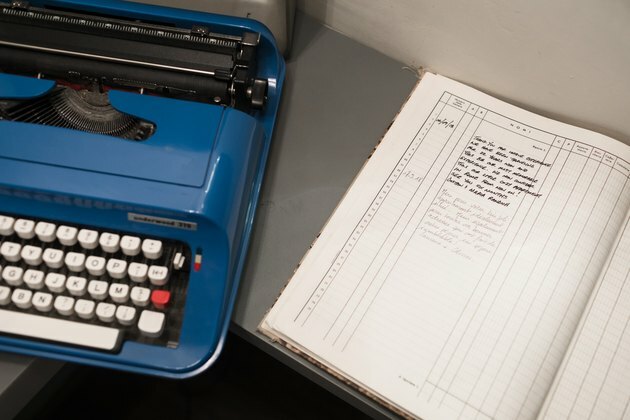 Visitors can leave their mark in the guestbook or compose something on the vintage typewriter. Glass mosaic tile adds a sense of luxury to the bathroom in the left corner apartment. The existing marble grit floors were "inlaid" with polished concrete to create a contemporary patchwork. Vintage brass nesting tables hold books and magazines in the left corner apartment. Sheer curtains add privacy while letting light and views peek through.